This time round, the market will welcome 60-plus stallholders, live music and art to celebrate the precinct's immersive new installation. 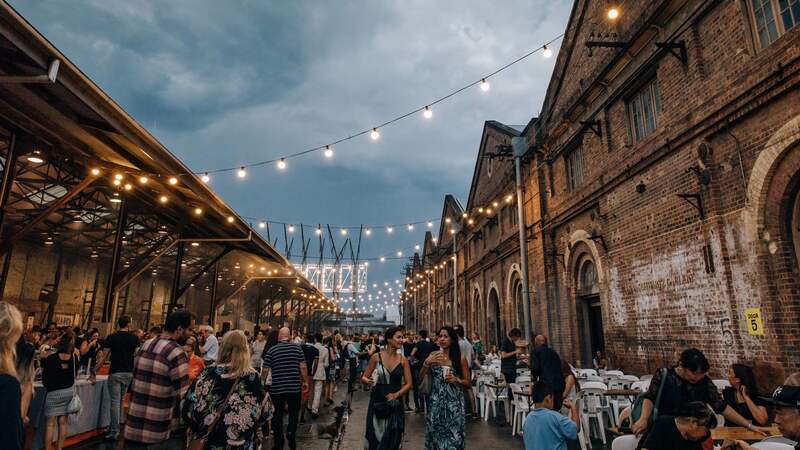 Hold onto your paper plates, Sydney — there's another Night Market coming to Carriageworks. This time it will celebrate both the height of Sydney summer and the art precinct's latest installation Until by Nick Cave, which is the theme of this year's market. A slew of 60-plus stallholders will take over the carriageway from 5pm on Friday, February 15. You can expect to once again sample goods from New South Wales' top tier of restaurants, winemakers, breweries and providores, alongside cooking demos, talks and live music. 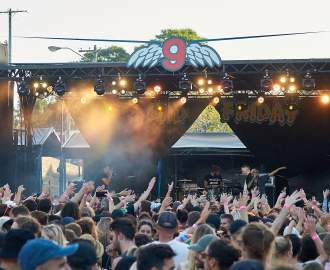 Highlights include Ben Shewry of Attica, one of Australia's best chefs, teaching you how to cook Aussie seafood over fire, and chats with chefs from the refugee-run Four Brave Women restaurant. The menu has been curated by Kylie Kwong with dishes responding to Nick Cave's colourful, immersive artwork — which addresses topical issues of gun violence, gender politics and race relations, as well as highlighting the importance of community and compassion. While there's no word yet on what exactly you'll be eating, Carriageworks has announced some big names on the lineup. Innovative Indian restaurant Don't Tell Aunty, Josh Niland's Fish Butchery, new vegan eatery Paperbark and Neil Perry's Mexican spot Bar Patron are just some of the restaurants that'll be providing the food, while Dear Sainte Éloise, Monopole, P&V Wine and Liquor and Archie Rose and Young Henrys will be on drinks duty (among many others). Tickets are $10 — head to the Carriageworks website to book ahead.